You can travel to a country & stumble upon an artisan, embark in conversation, observe one of a kind work, purchase a piece, watch it wrapped carefully to take home with you. 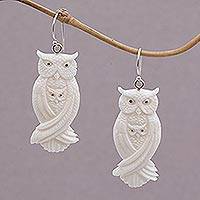 Or you can shop Novica without the travel and chance knowing you are helping hand-picked, vetted families of gifted artisans. 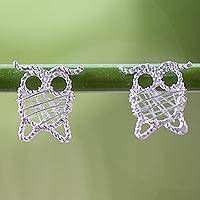 I ordered the Worried Owl ring in a size 8 as I like to wear my special rings on my middle or forefinger. 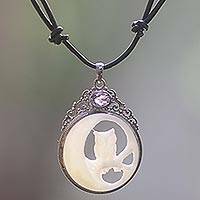 The picture on Novica does absolutely no justice to this piece. 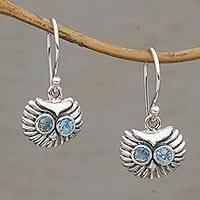 I chose the owl because it has deep family history for me and because recently I took a new job where the mascot is an owl. 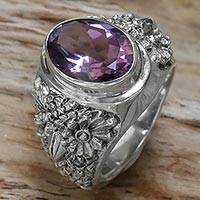 The stone is a deep purple with flashes of pink, lavender, blue, and red. The silver is overwhelming (in a good way), so substantial, so intricately carved. This is a ring worthy of such a title as a milestone ring, could be a class ring even. The packaging was immaculate, embroidered box, colorful hand-authored postcard from the artisans, lore booklet bill of sale, even Bali-stamp on the FedEx box. 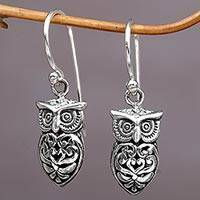 I had never seen wrap earrings like this so I wondered what they might look like in person. They are so tiny and adorable and lovely - thank you! 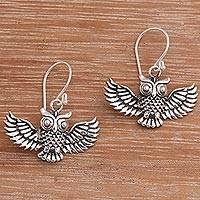 These earrings are perfect. The attention to detail is beautiful. These will be worn often. Very happy with my purchase. Very talented artist. 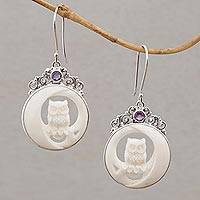 Bone Sterling Silver Amethyst Pendant Necklace Indonesia, "Nighttime Owl"
Handcrafted Bone Owl Family Dangle Earrings from Bali, "Owl Bond"
Polished Bone Owl Dangle Earrings with Amethysts, "Owls on Watch"